New York Times best-selling author Ian McEwan's novels have won such prestigious awards as the Booker Prize and the National Book Critics Circle Award for his modern masterpiece, Atonement. 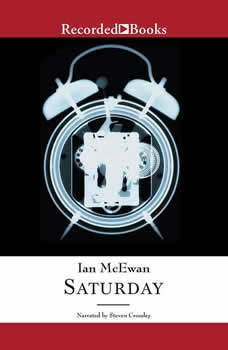 Saturday further proves The New Republic's claim that McEwan is "one of the most gifted literary storytellers alive." Neurosurgeon Henry Perowne enjoys life immensely and considers himself fortunate to love the woman he's married to. But on this day, a chance encounter will turns his life upside-down.